Mr Yesu Persaud was born on October 18, 1928 at Diamond Sugar Plantation where his grandfathers had arrived from Uttar Pradesh, India as an indentured sugar worker in 1863/4. His father and mother were also born at Diamond Estate and worked in the Sugar Industry. Yesu had a full primary education, went to High School but could not go very far there since he had to start working at age 17 as his parents could not afford his further schooling. For a few years he worked at the US airbase at Atkinson field and in the capital, Georgetown, as a Customs Clerk. He, however discovered that he could not make much further progress in white-collar employment in the capital since the Insurance companies and the expatriate industrial and commercial companies including the Banks, did not employ Indians. He then returned to Diamond Plantation and joined the workforce, becoming in four years a Supervisor, the highest position a local could achieve. In London, Yesu was employed in the usual semi-skilled jobs foreign immigrants usually take up. His sights were however always focused on doing the ACCA and becoming a top accountant. He studied very hard, and despite the distraction of having to work and study, he was able to complete his ACCA in good time. He was shortly after accepted as an Associate Member of the ACCA. He continued to work with a large professional accounting firm and was appointed Senior Auditor responsible for a number of clients in London and the home counties. His income level had grown and he made a number of wise and profitable investments. He was now ready to return home as a qualified accountant with fairly reasonable financial means. In 1966, he returned and joined the Public Service as an Inspector of Taxes. After a few months, he ventured into private industry. He joined Sandbach Parker & Company, the oldest British company in Guyana which had been operating here from the 18th Century. In record time, he rose to be the Group Finance Director, a position which so far had only been open to qualified expatriates. In 1975 the Government of Guyana decided to nationalise the Demerara Sandbach Group and Yesu was one of the three negotiators on the Sandbach side. Yesu was offered the tempting offer in the UK if he were to leave the nationalised company. He, however decided to stay in Guyana and serve. The Government offered him the Executive Chairmanship of Diamond Liquors Limited and the Managing Directorship of Demerara Sugar Company together with other responsibilities to integrate a private conglomerate into a state-owned company. He took on this enormous challenge and in a short number of years was able to achieve a business miracle with regards to Demerara Distillers Limited, which stands out in the economic history of Guyana in creating one of the most modern Spirits distilleries in the World, with the award-winning El Dorado. Demerara Distillers Limited has diversified into many profitable fields including the production and distribution of some of the world's choicest soft drinks such as Pepsi, 7UP, Mountain Dew, the Gatorade and Tropicana range, DDL Topco Fruit Juices produced in the most modern Tetra Pak in the Caribbean, DDL Diamond Mineral water range of products. It has other subsidiary or associated companies such as Demerara Shipping, Demerara Bank Ltd. CO2 Gas Company, Diamond Fire and General Insurance Inc. Trust Company (Guyana) Ltd., and the distribution company representing many of the World's major brands. The company now has subsidiaries in Holland, USA, St. Kitts, Trinidad and Tobago and distribution arrangements in Asia, including a small Joint Venture in Andra Pradesh, India. Yesu Persaud's achievements in business and in the field of wealth creation are legendary but equally so are his achievements in other fields. He is a great believer in the virtues and effectiveness of Private Enterprise and the Free Market in human development. He has accordingly been associated with, or founded institutions which promote private enterprise and help others to participate in it. H conceived the idea of a private sector bank in the late sixties. Held in abeyance but reactivated in 1991. Demerara Bank was incorporated on January 20, 1992 and on November 12, 1994 was declared open by His Excellency the Late President, Dr. Cheddi B. Jagan. The Institute of Private Enterprise Development (IPED) was founded by Yesu Persaud's in 1985. IPED provided an opening for those who were excluded from state-run entities or who desired to do their own businesses. With the assistance of the Pan American Development Fund and CIDA and generous local contributions, IPED was able to provide loans and training to entrepreneurs. IPED over the last 19 years has financed over 40,000 entrepreneurs and has net assets of G$1.1 Billion. IPED's achievements have attracted much international interest. 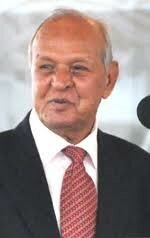 Mr Persaud conceived the Private Sector Commission (PSC) and founded it in 1991 at a time when the private business community had been almost destroyed. The PSC united the Private Sector, revitalised it institutionally and gave it an important voice at a very critical time. The PSC has been advocating ongoing reforms to the business environment, has been involved in various high-grade governmental committees, has helped in social stabilisation and has always given assistance in achieving free, fair and peaceful national elections. One of his memorable achievements, an event which holds a place of importance in the socio-cultural history of Guyana, is the 150th Anniversary Celebration of the Arrival of Indians in Guyana. He conceived the celebrations and was appointed Chairman of the 150th Anniversary Committee. At that time, the Indians were fragmented; four Muslim organisations and eight Hindu organisations. The Committee was very successful in bringing all of them together for the celebrations. Though his international involvement in the field of business has been very wide, Mr. Persaud's involvement in the socio-cultural arena is equally important. For example, he has served for many years as the Honorary Consul of Chile, on the Caribbean Council of Europe, as a Trustee of Caribbean Latin American Action, as President of the Caribbean Association of Industry and Commerce, Chairman of the West Indies Spirits Producers Association, and as a founder-member of Global Organization of People of Indian Origin (GOPIO). Mr Persaud is the recipient of many national and international awards and honors, including the Cacique Crown of Honour, the Golden Arrow of Achievement, the Ghandi Organisation Plaque, Lifetime Awards from the Guyana Manufacturers' Association and Georgetown Chamber of Commerce & Industry, the Honorary Doctorates from Warwick University and the University of the West Indies, St. Augustine Campus. As well, Warwick University renamed its Centre for Caribbean Studies as The Yesu Persaud Centre For Caribbean Studies. Many people call themselves 'solo artists,' but few fit the tag as well as Eddy Grant. Since the 1970’s, this gifted performer has released several albums on which he wrote and performed every note of the music, in addition to recording it in his own studio, manufacturing it in his own factory and issuing it on his own record label. In fact, Grant is said to be the only major artist who over a Fifty year plus career owns every recording and song he ever created. The totally personalised music Grant made was a deft blend of pop songwriting, dance rhythms, reggae and colourful international elements, making him an international solo hit-maker during the 1970’s right into the twenty-first century. Born on March 5, 1948 in Guyana, Eddy was exposed during his childhood to the distinctive local fusion of African and Indian music indigenous to Guyana along with the music of the surrounding countries such as Suriname and in particular Trinidad and Tobago. As a pre-teen, his musician father moved the family to Kentish Town, North London. In the stark, post-war late fifties /early sixties suburban environment, Eddy was exposed to the rock and roll of Chuck Berry and the nascent pop music scene. This early combination of ethnic and commercial pop influences culminated in Eddy founding The Equals, probably the finest and certainly the first multi-cultural pop/rock outfit to achieve international acclaim. With Eddy as songwriter, lead guitarist, arranger and producer, The Equals topped the chart with their classic “Baby Come Back” and went on to achieve three more major top ten hits in the following eighteen months with their Caribbean-styled pop. At the same time, Eddy was also writing, producing and recording under various pseudonyms. While it was not fashionable at that time to be associated with Jamaican culture, Eddy experimented with reggae and merged it with all his other root influences. At seventeen, he wrote, recorded and produced two songs that were to become Reggae Legends (a fact not known by many). One was a song called "Train Tour To Rainbow City" which became the first UK produced Ska Record to chart in the official UK Chart in 1966 and was covered by Prince Buster as “Train to Girls’ Town”. The other was the classic “Rough Rider” which was also covered by Prince Buster. Both songs were so successful for Prince Buster in his heyday in the 60's that most people still believe they are Prince Buster originals. It is not by accident that a significant component of Eddy Grant’s music over his career is Reggae. In that session working on “Rough Rider”, Eddy broke ground by being the first producer to use strings as an integral part of the ska/rocksteady sessions. These were followed much later by producers who saw the possibility to "add on" strings as an after thought hoping to please British Radio. In his case there was no such consideration; purely an innocent "experiment in sound". Eddy stood by as songs were being "strung-up" left right and centre; some more successful than others. When he got involved with synthesizers he still managed to create what he later called his “Reggae Symphonies”. Grant continued his crazy schedule, juggling his performing and touring commitments with The Equals and producing and recording other artists. Then at twenty-three, the unthinkable happened. The pressures of his hectic recording and touring schedules took its toll. Though a teetotaller and a staunch vegetarian, Grant suffered a severe heart attack which forced him to undertake a major re-evaluation of his future. He cancelled all touring activities and left The Equals. During the ensuing period of introspection, Eddy founded what was to become the first black-owned professional recording studio in Europe, the “Coach House Recording Studio” and the highly respected “Ice Records” label in order to record at his own pace and to help cultivate the careers of other artists he had discovered. It was during this period, that Grant was asked by a BBC executive. if he would consider presenting a weekly music programme on the World Service, of the music that he liked, regardless of how eclectic it may turn out to be. The show was called “Rhythm ’N’ Roots” and was enormously successful. Grant continued the process of experimentation he’d started in the late 60’s, to merge the influences of early pop, rock and soul with the calypso music of the Caribbean and the African and Indian rhythms of his childhood, to form a unique hybrid - the influential sound he called “Kaisoul” which someone else called “Sokah” and which finally ended up being dubbed “Soca” by a member of the Trinidadian media. Grant recorded what is generally recognised by the cognoscenti as the very first soca record, the anthemic “Hello Africa” in 1972. It remains a classic in many parts of the world inhabited by calypso and soca aficionados. However, Grant is quoted as saying, that although his experiment started some years before, to his mind, everything was really crystallised in the recording of the classic dance floor filler “Black Skin Blue Eyed Boys” which was first released and became a hit in 1970. Eddy enjoyed immense commercial success in the first half of the eighties. When the pressures of his solo career again threatened to compromise his newly defined game plan, Eddy moved back to the Caribbean. He opted not for his native Guyana but as a compromise with commercial reality, chose Barbados where communications with the outside world were more highly developed at the time. Eddy bought and restored the historic plantation home Bayleys, in the parish of St. Philip, Barbados and built his Blue Wave Recording Studio Complex. It was from his base in the Caribbean that he recorded his breakthrough album, “Killer on The Rampage”. This record blended social-commentary themed lyrics with a complex but pop-friendly sound that deftly mixed international influences and pop hooks. It became a hit when the songs “I Don’t Wanna Dance” and “Electric Avenue” were released as singles. The very danceable tune, “Electric Avenue”, talked about tensions in the streets over a pulsating instrumental track that mixed new-wave synthesizers (with which Grant had been experimenting for years) and a funky groove. It became a #2 hit in the UK following the #1 hit “I Don’t Wanna Dance”, a hit in every country except the USA where the radio DJ’s refused to stop playing the first release “Electric Avenue” (which was #1 on the Cashbox chart and #2 on the Billboard Hot 100). The extraordinary success of both singles helped to make the parent album a worldwide success. In 1984, Eddy Grant entered the world of film soundtracks when he wrote the theme song for the hit adventure film, “Romancing the Stone” starring Michael Douglas. This Top-30 hit was a typically eclectic blend of pop and reggae elements that also included a wailing, rock-style guitar solo played by Grant. Meanwhile, his Blue Wave Recording Studio Complex soon became a popular destination for rock stars like Sting, Elvis Costello, Bonnie Raitt and The Rolling Stones (who used it to prepare for their 1989 gargantuan “Steel Wheels” tour and their “Voodoo Lounge” album and tour). For the record, the first international recording star to record at Blue Wave was Marcia Barrett of Boney M.
After an absence of four years, Eddy Grant returned to the international pop scene in 1988 with “Gimme Hope, Jo’Anna”. Since “Black Skin Blue Eyed Boys” through “Living on the Frontline”, Eddy has been recognised as a vociferous promoter, through socio-political commentary, of the culture and achievements of contemporary black people. In the song “Gimme Hope Jo’Anna” he cleverly puts across an anti-apartheid message by wrapping it in a funky, catchy Caribbean-pop melody, making it a massive international success in almost every country in the world except the USA, where it was effectively banned from mainstream radio and TV. Grant's enthusiasm and devotion to his musical heritage has endured. His ICE RECORDS and ICE MUSIC companies have purchased a great number of Classic Calypso, Soca and other Caribbean recording and music publishing catalogues along with other intellectual material. Grant has created what is arguably the world’s largest collection of Classic Calypso, Soca and Ringbang music copyrights. These include the record and song catalogues of Calypso legends like the "Mighty Sparrow", "Roaring Lion", "Atilla the Hun" and "Lord Kitchener" among a multitude of other great Classic Calypsonians from the Golden Age of Calypso. Grant has done this in order to personally preserve, and introduce to a wider audience, this historic and important musical heritage which he describes as the last English-speaking folk genre in the world. He has also successfully fostered leading contemporary Calypso and Soca artists such as Gabby, Calypso Rose, Alison Hinds, Mighty Duke, Superblue, Black Stalin, David Rudder, and Grynner, and thanks in no small part to Eddy Grant's patronage, soca music now enjoys an expanding popularity in all corners of the world. As Grant wrestles with the day to day problems of maintaining a profitable recording company, he must confront sales, promotion and marketing nightmares, the direct consequence of the traditionally seasonal aspect of Classic Calypso, Soca and Ringbang. He asserts that music pirates in the Caribbean and the United States are the biggest culprits, keeping the production and packaging quality down. However, he is passionately committed to the artists and the music of the region, and believes that with proper management, these artists can indeed finally start to profit from their art form. As Eddy says, "in my heart, I know that Soca and Ringbang have the same potential as Reggae to achieve great popularity... but there has never been any proper commitment to marketing these artists and their music. We are not Sony, and the artists on board must realise it will take time. It is an upliftment process." Grant has put his money, time, talent and, perhaps most importantly, love, right there where his mouth is. Fifty years plus later, Eddy’s experimentation with music continues. Eddy has brought in every groove and genre possible to Reggae and the other grooves of the Caribbean. With the constant debate of who did what, with regard to the conceptualisation of soca, it was put to Grant by some of his associates in Trinidad, that if indeed he was THE ONE, surely he could do it again. Grant immediately set about creating a new genre RINGBANG that he loosely defines as a "bridge between all the rhythms that have originated from Africa so that they become one, defying all geographical boundaries." RINGBANG also carries with it a philosophy which recognises and affirms value in Caribbean people and culture. Now after only a few years, the “RINGBANG” beat and sound, has been embraced by all the young (and even some of the old) artists of the region. To support this belief system, he even started a magazine called “RINGBANG”, the first totally Caribbean magazine representing all Caribbean music and lifestyle. Looking back, maybe it is this self-confidence that Eddy was trying to communicate to all those producers and artists as they arrived in the UK in the 60's to be slaughtered by a hostile, uncaring music business. Back then though he was seen as too young, so no one listened. Today, Eddy’s words and vision have stood the test of time. Grant’s passionate interest in African rhythms, reggae and Soca, Ringbang and his individualistic style has had a lasting influence on a range of other artists. His classic works remain as popular as ever today and have been covered by artists as diverse as Prince Buster, Jaheim, UB40, Pato Banton, Willie Colon and even The Clash who covered his “Police On My Back” for their celebrated “Sandinista Album” while also being used extensively in a multitude of television commercials worldwide. His influence too pervades the lives of many other well known artists and producers including reggae legend Bob Marley. For example, when Bob Marley and the Wailers first hit Africa, he (Bob) expressed surprise at the popularity and success that Grant was already enjoying on the continent. When Marley left the UK disillusioned and returned to Jamaica, he recounted to a friend and associate that he was inspired by Grant’s accomplishments and was going to do exactly the same thing…. build his own studio, work at his own creative pace and exercise greater control in his business affairs. Today, the Bob Marley and Tuff Gong legacy are testimony to the example set by Eddy Grant in a time when others thought it was not possible for a Caribbean/black artist to be successfully in charge of his creative and music business career and to do so in the Caribbean. Eddy Grant's individual discography is extensive and time-honoured and his latest album “PLAISANCE” was recorded and mixed to completion at his Blue Wave Recording Studios. “Plaisance” was written, arranged and performed by Grant and contains fourteen brilliant tunes with a vast range of musical nuances. He sings lead and backing vocals on all tracks. Despite his many commitments, Grant continues his archiving of his beloved Classic Calypsos. He performs on occasion and his excursions from his Caribbean sanctuary in the past have included live performances at such events as the Sport Aid Stadium show, ground breaking concerts in the former Yugoslavia, Hungary, Cuba and South America and headlining the Farewell to the GLC concert at the Thames Embankment and the BBC/WGBH World 2000 Millennium Day Broadcast and Ringbang Celebration which was carried live via satellite across the globe. His LIVE appearance was undoubtably the highlight of the now famous Mandela’s 93rd Birthday Celebration held at Hyde Park in London. Eddy has also received numerous citations and awards in the UK and elsewhere for his contribution to music. He has been interviewed extensively in mainstream publications and on major network programmes like the BBC’s ‘Hardtalk” with Tim Sebastian. In 1991, he stepped into another role when he hosted the first Caribbean Music Awards at Harlem’s Apollo Theatre in New York City. In 2000, he was the guest of Prince Charles for the Party in the Park charity concert in aid of the Prince’s Trust. He also performed at the benefit concert in Hyde Park. In 2005, Eddy had the distinct honour of being the only living person to have four postage stamps of his image and that of his brand Ringbang issued in his native Guyana. With the conclusion of his REPARATION WORLD TOUR, Grant set about preparing for an extensive period of recording what he calls The Plaisance Sessions of songs from which his next two albums (including PLAISANCE) would be drawn and with the current music business seemingly somewhat in disarray, Eddy has plumbed for an even more independent stance by marketing his entire catalogue of recordings only on his personal websites eddygrant.com and icerecords.com —— It is his belief that this demonstrates his lust for true independence. As the year 2018 broke, Eddy was invited to present a weekly Online Radio Programme entitled “RINGBANG TIME” on UNITED DJs RADIO in the company of some of the finest broadcasters and DJ’s in British Radio History wherein he can educate the world, via the internet, about the Ringbang Music and Philosophy. 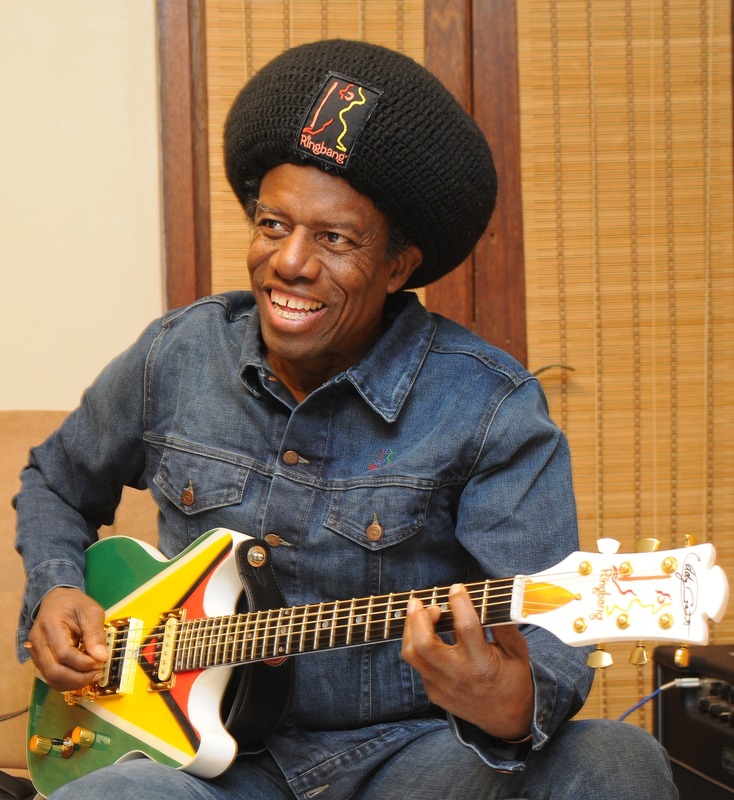 In its thrust to communicate its message both at home and abroad, The Reparation Committee of Guyana has named Eddy Grant as it’s International Ambassador to speak on the issue of National and international REPARATIONS. Without a doubt Eddy Grant is an Original, a true Caribbean Icon and whether as a performer or businessman, thinker or philosopher he will continue to be an important and integral part of the Caribbean and international music scene for a very long time. Mr Jairaj “Jay” Sobhraj is an international entrepreneur, philanthropist and founder of The Jay and Sylvia Foundation. 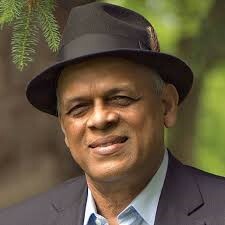 A Man of Action, he was born in the Land of the Mighty Roraima, Guyana in 1948. He is the son of a rice farmer and one of 10 siblings hailing from the county of Berbice. From his humble beginnings in Guyana, Jay Sobhraj's personal discipline, dedication to hard work and focus on community has made him one of the most successful Guyanese in the Diaspora. Jay Sobhraj is the Senior Vice President of Zara Realty, leading operations and renovations across the company's 5,000 units of property in The United States of America. His 70 years spans work and study in four continents: South America (Guyana), Europe (England), Asia (Abu Dhabi), and North America (USA). A qualified engineer by profession, Jay earned his degree at the Middlesex Polytechnic of Central London in the 1970's and became a Chartered Engineer and Member of the Institute of Mechanical Engineers (C. Eng. M.I. Mech. E.), United Kingdom in 1984. In Guyana, Mr. Sobhraj worked as a project engineer in the Guyana Bauxite Company Mines Division, in the 1970's. He then spent 11 years in Abu Dhabi with the National Petroleum Construction Company, Abu Dhabi, U.A.E as plant superintendent on an oil production plant in the petrochemical industry in the Middle East. His expertise is focused upon heavy steel fabrication and installation of pipe work for oil and gas. Enduring the difficult and dangerous professional terrain in the oil industry provided Jay and his wife Sylvia -a nurse by profession- a solid foundation upon which he could build his second phase of professional endeavor – entrepreneurial real estate. Upon leaving The United Arab Emirates, Jay co-founded Zara Realty, named after his daughter, with two of his nine brothers, Ken and George. Into this enterprise he poured his experience and expertise in engineering, field operations, and leadership and helped build a real estate empire starting in the New York area which now spans several American cities. His quietly jocular nature, his personal caring character and respect for others underlies a shrewd business mind – with a lot of heart. Jay established the Jay and Sylvia Sobhraj Foundation (JSS) 11 years ago, in 2007, after years of informally giving to various causes in Guyana and the USA. He and his wife, along with a few good Guyanese compatriots, unofficially formed The Jay and Sylvia Sobhraj Foundation which was later legally registered. Since then, the Jay and Sylvia Sobhraj Foundation has gifted over G$400 million, roughly US$2 million to a myriad of Guyanese causes in their native country and in their adopted home, the United States of America. The Foundation's work focuses on technology, education, mental health and development of children and young people. Some of the major projects of the Jay and Sylvia Foundation include US$ 475,000 to University of Guyana to build a new building that will house mental health resources for community wellness. The donation will support the education of new professionals in the field of mental health to deliver improved education and care to the people of Guyana. The foundation also provides five scholarships to students at University annually and has pledged another US$ 200,000 for student related support in the next 10 years. Ms Laura George is a proud Akawaio from Phillipi, Upper Mazaruni, Region 7. A product of the Campbellville Secondary School, the Government Technical Institute, and the Cyril Potter College of Education, she is a trained teacher and mother of three girls. She is a pioneer of the Amerindian People's Association (APA) who resigned from teaching to render service on a voluntary basis to the Indigenous Community. Ms George started working at the APA as a Programme Assistant eight years ago and currently is the organisation's Governance and Rights Coordinator. 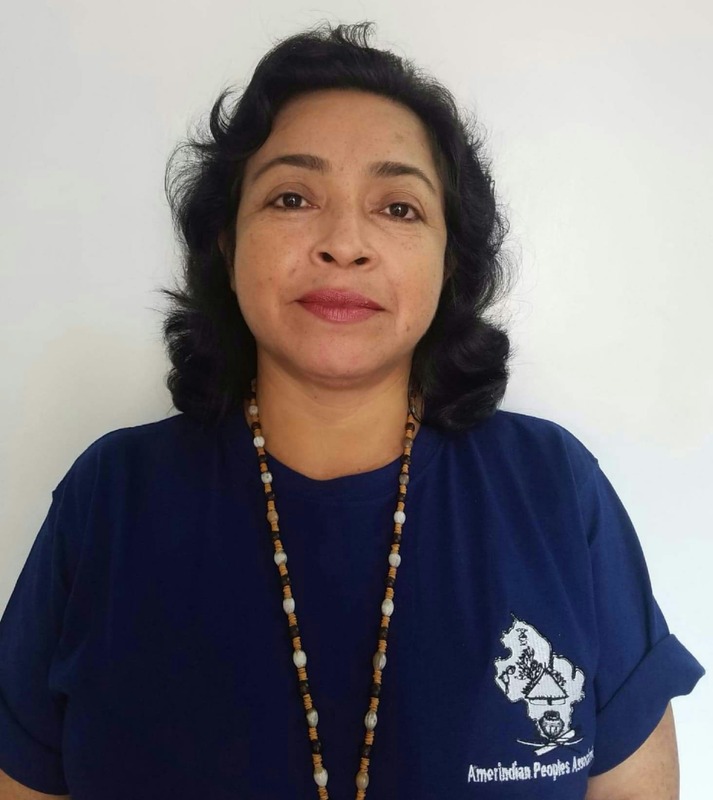 Ms George has been a passionate advocate for indigenous rights and has worked with indigenous communities throughout Guyana on several issues, including land rights, mining, forestry, labor exploitation, and women's rights. She has worked to ensure that policies and legislation protect indigenous rights, especially where mining has impacted negatively on the social and physical environment of the communities and on their land rights generally. In the case of the forest sector, she also has sought to ensure that legislation protects indigenous rights at all levels. Moreover, she has worked with communities in seeking to impart information on Guyana's FLEGT VPA (Forest Law Enforcement, Governance and Trade Voluntary Partnerships Agreement) and its implications for indigenous communities, and she has participated in discussions on the subject high levels in Guyana and in Europe. Among her notable community engagement and advocacy, she served as a member of the Phillipai Village Council from 1996 to1999, provided translation services for the Van Mendason et al vs Attorney General, Guyana (the first lawsuit of its kind in Guyana), provide translation services for indigenous leaders and elders at various forums and in legal support cases whenever available, and secured pro bono legal representation for various causes of several members of the indigenous community. Ms George also was a panelist as part of Guyana's Independence golden Jubilee's celebration, a member of the Steering Committee of the nation's Readiness PhaseForest Carbon Partnership Facility Programme, and an alternate representative for Indigenous Peoples on the Multi-Stakeholder Group of the Guyana EITI. Her experience in working with indigenous organisations and participating at international conferences includes serving as a panelist on one thematic area at the Oslo Tropical Forest Forum 2018 opposite the Minister of State of Guyana, as a panelist at the Norwegian International Tropical Forest Conference 2016, and a delegate at the Indigenous Conference in Belize under the University of the West Indies Impact Justice Project, March 2016. As well, she delivered a presentation to the 14th Session on the United Nations Permanent Forum on the Rights of Indigenous Issues. Ms. George is a firm believer in the preservation and protection of indigenous people's culture, especially the preservation of their languages. Also notable is that she has been engaged in humanitarian work and was one of the APA's volunteers in seeking food and other supplies when several communities in Region 8 were flooded in 2016. She also does hospital visits when persons from the interior need support and has advocated for prisoner support in cases of wrongful detention and imprisonment. Among her current projects are: the Forest Carbon Partnership Facility, which focuses on creating a readiness mechanism for payments for carbon based services; EU Forest Law Enforcement Governance and Trade, which addresses developing a forest legality licensing system for timber and timber products; and Forest Land Allocation, which part of the ongoing work of the Guyana Forestry Commission and the APA where there is advocacy for challenges that existing and new Amerindian villages and communities face. She also has been involved in the Low Carbon Development Strategy and the current Green State Development Strategy, in being a strong advocate for representing indigenous people's views and perspectives. The Guyana Norway Agreement also is an area of engagement by her, as it pertains to addressing and updating on land rights, forest governance and natural resources issues that are associated with indigenous people's villages and communities.